KAMPALA. 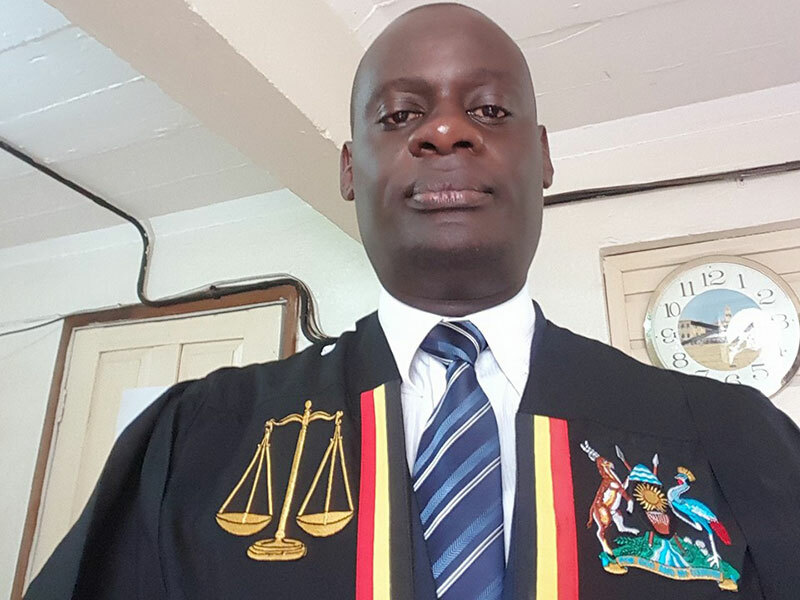 Chief Justice Bart Katureebe has dropped Elias Kisawuzi from the position of Judiciary spokesperson and replaced him with Vincent Emmy Mugabo. Paul Wolimbwa Gadenya chief registrar to the Judiciary announced the changes on Friday saying the appointment takes immediate effect. Kisawuzi, a long-serving public relations officer at the Judiciary, is jointly dropped from the position along with his deputy Harriet Ssali. Mugabo, a deputy registrar, will perform the new task alongside his other primary duties as deputy registrar in charge of the Mediation Registry at the High Court Commercial Division in Kampala. 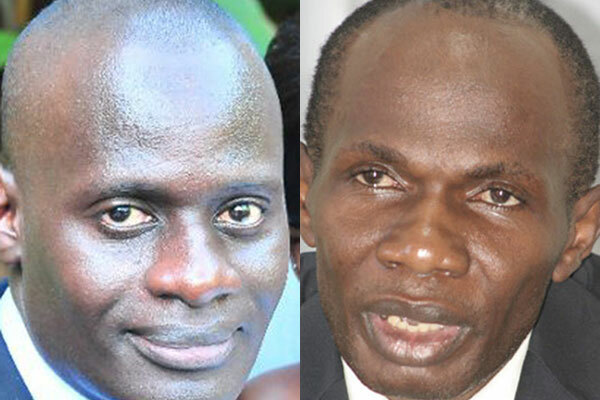 However, Kisawuzi will continue serving in the Office of Registrar, Research and Training at the Judicial Studies Institute, while Ssali will continue as acting registrar, Court of Appeal/International Crimes Division, Gadenya said in a statement released Sunday. Sources say CJ Katureebe, who has recently engaged the Judiciary on a tour of the countryside, wants to see judicial services known to the grassroots. The tours that have been characterised by open court saw the public express their frustration with the Judiciary and its ability to deliver justice to the people. Some like residents in Gulu openly accused the judges of turning into ‘corridor magistrates,’ a euphemism in the sub-region for officials who frustrate undertakings until they get financial inducements to get them moving. Such issues, coupled with others like the public asking the Chief Justice to widen facilitation for public outreach geared at raising awareness of judicial matters and the justice system, left the Chief Justice pondering on the way forward. The Judiciary, source say, felt the Kisawuzi-led public relations unit needed revamp to instill fresh energy that can reach out to the people. “Judiciary’s plan is to decentralise the public relations function to bring the Judiciary to the people and also to promote better understanding and relations between courts and the public,” said Gadenya in the statement. The Chief Registrar said Judiciary’s ultimate objective is to increase levels of transparency and openness in the administration of justice through provision of real time information to the public. The onus now falls upon Mugabo, 43, who is tasked with providing overall oversight over the Judiciary’s public relations and communications unit and also take the lead in the stakeholder engagements to explain the court services to the public. However, the Chief Justice’s new desire to instill vigor in the Judiciary’s relations with the public might come at the string-end of some stark irony given that just four years ago, then Kisawuzi’s deputy Araali Muhiirwa was summarily fired for coming out boldly to speak about the Judiciary suspending trial of some cases due to lack of operational funds. Born on December 25, 1974, Mugabo joined the Judiciary as a Grade One Magistrate in 2000 and rose through the ranks to be deputy registrar. He has been president of Uganda Judicial Officers Association, an umbrella body for all judicial officers in the country. Mugabo, who chairs the Peer Committee on Ethics and Integrity for Chief Magistrates Central Region, earned plaudits in 2012 as chief magistrate at Mengo Chief Magistrate Court when he participated in the successful pilot of small claims procedure, earning the Judiciary the 2013 Public Sector Innovations Award from the Ministry of Public Servicein recognition for the sector’s contribution toward improving service delivery in the country. Since 2014 at the Mediation Registry, he has been involved in training Justice, Law and Order Sector staff in Alternative Dispute Resolution focusing on mediation. In 2016, he received an award from the Uganda Christian Lawyers’ Fraternity in Recognition of Professionalism and Integrity.